Last weekend, the Handsome Husband and I went to New York for Friday and Saturday. He had to sit through 16 hours’ worth of lectures about prostate cancer, and I got to wander through the streets of “The City” child-free. Heaven! I lived in NYC for 4 years in my mid-20s, down-and-out broke, working in PR while the HH was in med school, and then beyond broke when I went to music school. We lived WAY up town, above Harlem, and didn’t get to the fashionable parts of the city that much. Design was nowhere on my radar back then. I furnished our apartment with Craigslist and castoffs, but it was cozy and charming, and everyone loved it because it didn’t look like a West Elm catalog. Axes & Attitude. It’s great to be back in New York! 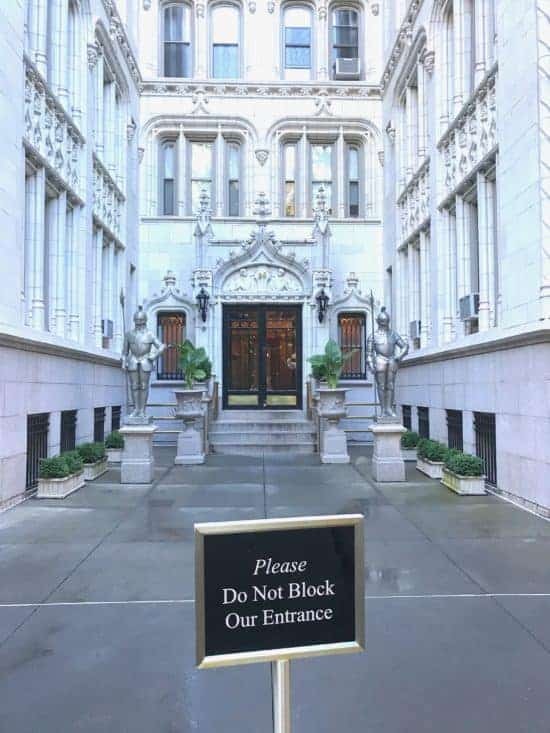 Block your entrance? — I wouldn’t dare! Since I’d never experienced New York from an interior design perspective, I polled a bunch of NYC designers from some of my Facebook groups asking where this country girl should go to experience design that wasn’t available to me in New Hampshire (HA! Like, everything.) or even Boston. 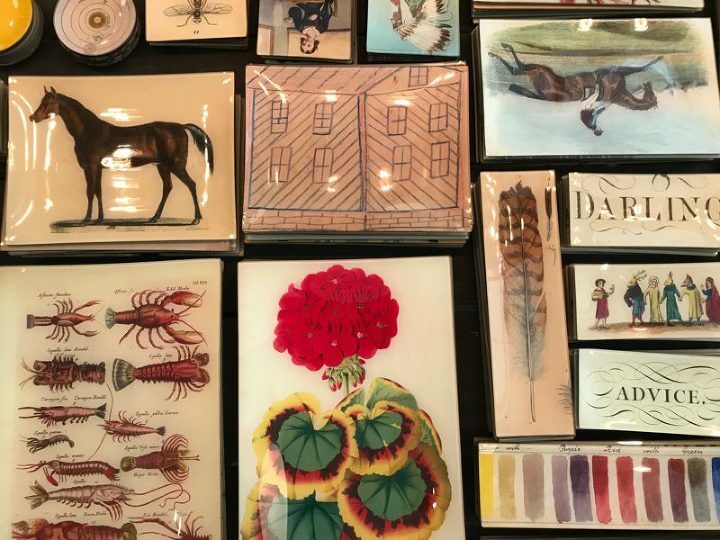 I didn’t make it to nearly all their recommendations, but here’s a little of what I did see along with info on all of the rest of the insider tips I received, as well as some of my own favorite NYC indulgences. John Derian Company Inc. was established in 1989. His decoupage is handmade in his NYC studio, where he employs a small staff of artisans to assist with production. His designs are sold at upscale home stores, in catalogs, and gift shops worldwide. 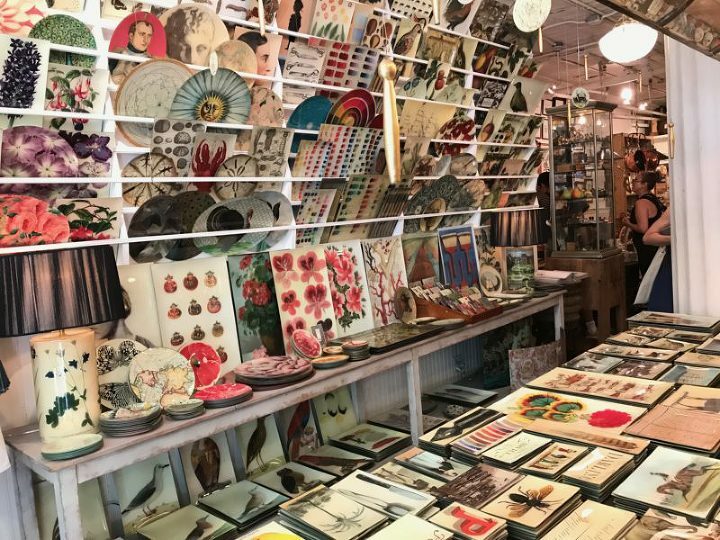 The full range of John’s work, including his ephemera, ceramic, and furniture collaborations, is available at his retail shops in the East Village. I thought I would pick up a platter or something for a upcoming friend’s wedding, but then I checked out the prices — $86 for a mug. I decided to window shop instead. The decoupage for which John is known. Cakes and pies are my thing to bake. I REALLY wanted one of these cake stands. Maybe for my 20th anniversary. Better than a meal that I don’t know if I’ll be healthy enough to eat. Furniture pieces with funky silhouettes and larger-than-life florals were prevalent. Indian block-print fabrics (and me in the mirror). Friendly Black Forest friends. Only Snow White was missing. I’ve known about ABC Carpet & Home for years but had never actually been there. Yes, designers get some trade benefits, but regular folks can take advantage of this amazing resource as well. I swear I heard the angels singing when I stepped through the doors. … at “Holy C***” prices. Leather and hide rugs galore. There is a huge carpet remnant area with BIG remnants. $1,000 for a 12′ x 18′ wool carpet?!?!?!?! I don’t even have a room that it would fit! ABC Carpet & Home is having its major WAREHOUSE SALE (extra 20% sale prices for up to 80% off total), through tomorrow 6/24, and there are a number of items you can buy off the website. Since I really only had one day to walk around a lot, I didn’t get to a bunch of places on my list (though I did pop into the design center at 200 Lexington to check out some showrooms that aren’t in Boston). Why didn’t I get to more of these design destinations? 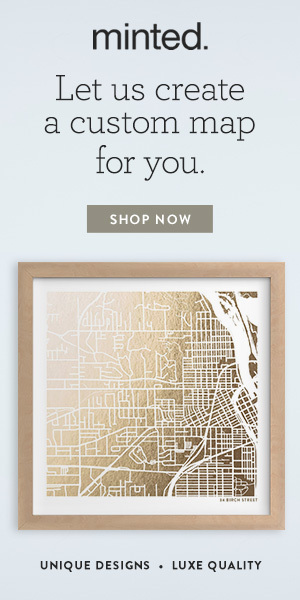 Because I have some other interests besides design — that’s why! I lived in NYC for 4 years and have many, many favorite spots. However, I only had 36 hours of freedom. Whither would I wander? … and a healthy dose of little-known-classic-British fiction. If you love the highly sexualized and melodramatic rural landscapes of Thomas Hardy and D.H. Lawrence (and I really do! ), this book is a hoot! I can’t believe I’d never heard of it. (So much for being a literature snob.) If you have no idea who D.H. Lawrence is … well … forget it. Alice’s Tea Cup to be exact. Dubbed “New York’s most whimsical tea house,” it has more varieties of tea than you can shake a stick at (the tea menu is 6 pages long) and scones that are crumbly — not cake-y — and are served with actual clotted cream!!!! Just as they should be. When I lived in New York, the location on W. 73rd was the only location. Personally, I still pretend that it’s the only location (much like I pretend that there is only one Pirates of the Caribbean movie and ignore the fact that the stupid, un-originally-intended-and-purely-financially-motivated sequels were ever made). I hate when my special places get franchised. Even if there are only a few. While I love dining in, this time I took a steaming cup of white tea and two scones with clotted cream and jam to go. I was first introduced to Ashtanga yoga in 2001 when I lived in San Francisco and have practiced (more or less regularly) for the last 9+ years. I love it because it is both meditative and intense, offering both stillness and movement. Good for my mind and body — and I don’t need to attend classes to be able to practice, though it’s wonderful when I can. There aren’t any certified teachers in New Hampshire right now, and I hadn’t been to a class in 3 years or more. I was so excited to attend Guy Donahaye’s shala in Alphabet City, held in the basement of the 6 Street Community Center next to PS 64. Guy is one of the few Ashtanga teachers in the world to receive an Advanced Teaching Certification. The shala was warm and welcoming, quiet and meditative, and so far off the beaten track that it shared absolutely nothing in common with my pre-conceived notions of shiny, crowded NYC yoga studios. During med school, music school, and residency, the HH and I rarely went out to bars, even before children. The funds just weren’t there. However, that doesn’t necessarily follow that we didn’t develop an educated cocktail palate. The HH and our neighbors became dueling home bartenders on Saturday nights. As the HH’s small library of spirits and prohibition-style cocktail recipe books has grown over the last 15 years, we have definitely become harder to impress in the cocktail arena, but the Dead Rabbit in Lower Manhattan is one of the best speakeasies we’ve ever visited. Winning the “The World’s Best Bar” 2015 Spirited Award, the Dead Rabbit doesn’t have as “Martini List.” (Hehehe. Martini drinkers will understand the quotation marks.) What it does boast is an original concoction of mixological history, creativity, and authenticity. The Daily Beast review pretty much sums it up. While I will always love Central Park, the HH and I used to live next to Ft. Tryon Park, an uncrowded hidden gem located way up at 193rd Street with views of the George Washington Bridge and the New Jersey Palisades to the West. Ft. Tryon is home to the Heather Garden, Linden Terrace, the Met’s Cloisters Museum, and the New Leaf Cafe. We were a couple of country-lovers encased in NYC cement for all those years, but Ft. Tryon was our oasis and our lifeline to the greenery we so desperately craved. If I don’t visit Ft. Tryon, I don’t feel like I’ve been to New York. It was integral to our lives there. The Heather Garden rivals the 96th Street Garden in Riverside Park (you can just see the GW Bridge through the gap in the trees). Linden Terrace, looking west to the Palisades. Our favorite bench, under an ancient (by American standards) oak. New Jersey. Some people actually do sail in NYC. Just not most of us minions. I do miss going to NY City twice a year, now that I no longer work as a textile designer. One of my favorite things to do was buy a ticket for the Red Hot Bus Tour, that used to be held in connection with the NY Gift Show. You would get on a nice bus in the morning and it would drive you to 10 of the hottest new retail stores, allowing time to shop at each one, and even giving you a box lunch.